November brought the start of the holiday season here at Trellis, and we were hard at work all month preparing our plants and Terravine growers to be ready for the holidays. Much of this month was spent preparing for the two upcoming Kittitas Valley Holiday Markets. We created beautiful herb boxes and tags to create holiday gift baskets with fresh herbs for cooking this season. These boxes, as well as many of the herbs, lettuces, and plants, were brought to the holiday market in November, which was a great success not only in terms of our plants, but also in connecting with the local community and showing them what we have to offer. 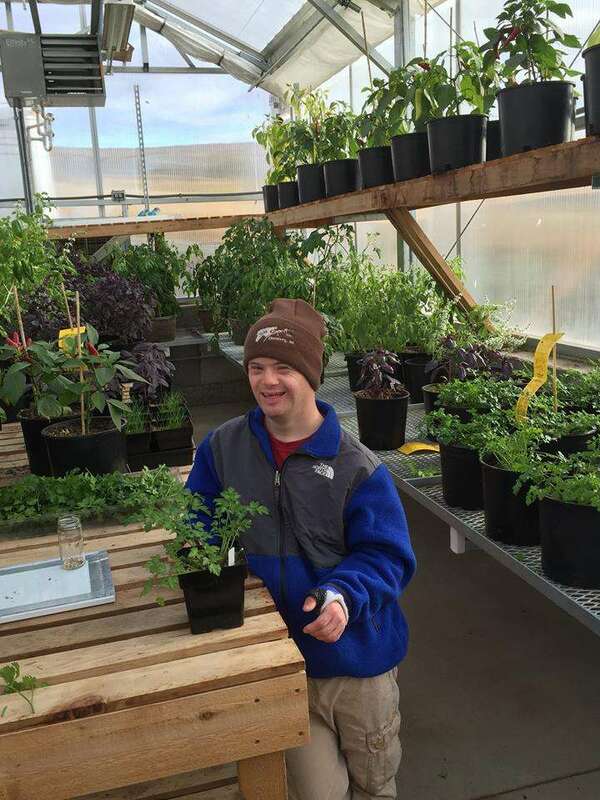 We also kept busy seeding, transplanting, and caring for plants in the greenhouse in order to keep our produce growing during the colder winter months. With the cold and a bit of snow settling in for winter, we have had a lot of work to do vocationally to make sure our plants receive the care and warmth they need. Our recreation program had all of us practicing our cooking skills by creating some warms soups and chili for us to enjoy as the chill sets into the valley. We also went to support our veterans and those who serve our country and community by going to the Ellensburg Veteran’s Day Parade. The city had an assortment of military vehicles, both old and new, as well as veterans of all ages that we all enjoyed being able to wave to. Before everyone left to visit friends and family for Thanksgiving, we all worked together to create a healthy Thanksgiving feast and enjoyed sharing what we were thankful for while eating in each other’s company. The month of November was also a time to remind us how much we have to be thankful for, and to give back to our local community. Each of the participants at Trellis are working on an ongoing service project of creating fleece blankets to be donated to those in need in the Kittitas Valley. The Trellis Center will be at the next Kittitas Valley Holiday Market on December 14th at the fairgrounds if you are in the area and would like to come support us. You can also support us through the Fred Meyer Community Rewards Program here. We are also connected to Amazon Smile for any online holiday shopping you might do. Just go to smile.amazon.com and choose The Trellis Center as the organization you would like to support. As always, we thank everyone for their continued support and encouragement. We are ever thankful to those who support us in what we do. If you have any questions or comments, you can find us on facebook as well as online at thetrelliscenter.com. You can also reach us by phone at (509)-968-4040 or via email at contact@thetrelliscenter.com.